This post gave me a clearer idea of what my grandson does as a doctor. When people ask me what kind of doctor I am, and I tell them that I’m a family medicine hospitalist, they often respond with a confused look. First, they are sometimes confused because most people associate family medicine with their primary care doctor. While it’s true that most physicians trained in family medicine practice outside the hospital, we’re also trained to care for hospitalized patients, newborns, children and even deliver babies! 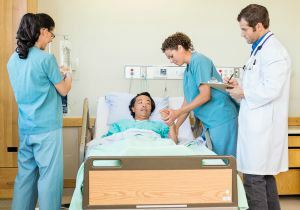 Second, people are then often confused by the term “hospitalist.” This means a type of physician who specializes in caring for patients in the hospital. This is what I tell people: think of me and any of my colleagues as your primary care provider’s representative in the hospital.